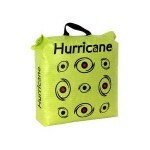 * Bright target background with high contrast Hurricane aiming points. * Heavy-duty handle won't let you down. * Tri-Core Technology for outstanding target performance. 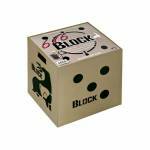 * X-Small 20" x 20" x 10" Note: This item sold in store only and is not shippable. .. Redesigned high performance target has 2 sides for field points and 2 sides for broadhead shooting. Broadhead sides are open and field point sides are wrapped with a woven polyurethane. * Bright high contrast colors. * Made in the USA. * 22" x 20" x 11" Note: This item sold in store only and is not shippable. 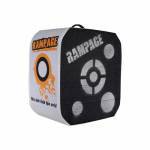 ..
Rampage is an economical target option for those looking for a great value, stops all field points and broadheads, broadheads should only be shot on the open face front and back of target, field points can be shot on the wrapped, woven sides of the target, light and easily portable to carry anywhere. 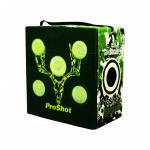 4-sided shooting Wrapped Sides: Shoot field points (only) at both woven polypropylene wrapped sides! Open-face layered design - Shoot field tips, fixed blade, and expandable broadheads at front.. 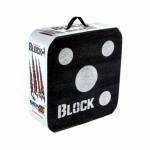 Blocks 6x6 target offers the only 6-sided target in the Block line, extend target life and varied shooting positions, suitable for use with all field points and broadheads, poly fusion layered technology secures the layers to the interior wall creating a longer lasting target with easy arrow removal. 18 x 18 x 16" Poly fusion layered technology Easy arrow removal Stops all field points and broadheads Unique 6-sided shooting Multiple aiming points on all sides Built in convenien..
Delta McKenzie 3D Porcupine Archery Target. 3D solid flex foam body with scoring rings will stop broadheads, expandable and field tip arrows. 26"H x 15"W x 10.5"D. .. Features patented Weld-Bonded technology that fuses the target into a single block, eliminating the need for wraps and bands. The ProShot Magnum is perfect for practice with both broadheads and field points. 18” x 20” x 10” deep. Note: This item sold in store only and is not shippable. .. Recommended for bows under 40 lbs draw weight. 28" x 24" x 12" Field Tip only For bows less than 250 FPS SOLD IN STORE ONLY ..
Black Hole Crossbow 16 offers crossbow hunters an economical, long lasting target that offers easy bolt removal and is suitable for both field points and broadheads, field point only on the wrapped sides, multiple aiming points on all 4 sides extend target life, light weight for portability, take anywhere. Black Hole Crossbow 16: 16" x 16" x 14" 4-sided shooting for longer life Broadheads and field points on front and back Polypropylene wrapped sides for field points only Stops all..
Field Logic Block GenZ XL Youth Archery Target. Specifically designed for younger archers with bows of 40 lbs of draw weight or less. High contrast white-on-black aiming points offer great visibility. Open-layer design allows for easy removal of arrows while maintaining it's original density. 22" x 20" x 8". Note: This item sold in store only and is not shippable. ..
Use with any 3-D target. Easily adjusts to fit target width. Universal fit, great for hard surfaces. 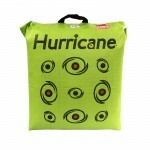 ..
* Bright target background with high contrast Hurricane aiming points. * Heavy-duty handle won't let you down. * Tri-Core Technology for outstanding target performance. * 23" x 25" x 12" Note: This item sold in store only and is not shippable. .. The Shooter buck is a great alternative to high priced 3-D targets for the casual or serious hunter, and with a replaceable insert for longer target life, it is the perfect target for any backyard range. 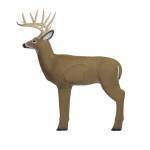 48" tall Economical 3-D buck Replaceable inserts available Perfect addition to any backyard range Easy arrow removal Stops all field points and broadheads ..
Get the shoot-it-every-day durability of an encapsulated open-layered foam target and the true-to-life experience of a buck-shaped target. 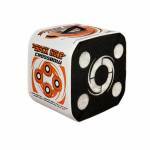 Its oversized four-sided 11"H x 11"W x 11"D PolyFusion vital core provides five times more surface area than the competition for high-volume target practice. Shoot it with field points or broadheads including expandables - it relies on friction instead of force for stopping arrows and bolts at speeds of more than 300 fps. When one side of vital core is shot o.. 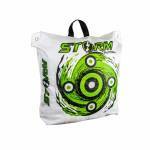 While portable and heavyweight, the new Storm target is extremely durable and is designed to stop field-tipped arrows and crossbow bolts shot at up to 400 fps. Like all Hurricane targets, arrow removal is simple and can be done with just one hand. Note: This item sold in store only and is not shippable. .. Realistic design for realistic practice Solid body design Includes ground stakes Scoring ring in vitals Dimensions: 19”H x 32.5”W .. 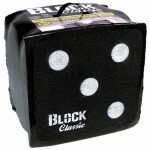 The original BLOCK Target introduced open-layered design which stopped arrows with friction not force. 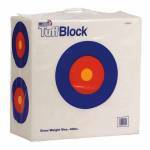 This simple yet revolutionary concept changed archery forever and is still available in the BLOCK CLASSIC line of targets. The heat generated by the friction caused as the arrow slides between layers literally grabs and stops the arrow. This heat quickly dissipates releasing the arrow! The first archery target to offer both easy arrow removal and long target life regardless of arrow tip! 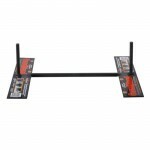 * A..
For a challenging shot try the Delta T-Series Small Game Targets. Made from Tech Flex Foam each target has hand-painted detail for realism. Every Delta target features Tech Flex E-Z Pull Foam?the most advanced technology for performance and durability. With self-healing and memory characteristics Tech Flex enables targets to stand up to numerous shots without developing holes and provides easy arrow removal. 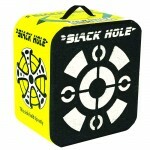 19" x 16.5" x 8.5" ..
Field Logic 4 Sided Replacement Buck Core. 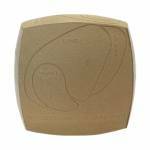 Replacement archery target core features 4 sides with different vital positions. Open layered Polyfusion technology stops field tips, broadheads and expandables. .. 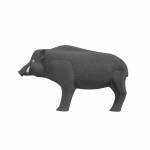 The animals in the Little Shooters 3-D Targets Value Pack have a realistic look and size, and a vitals scoring rings. High-density impact response foam is tough enough to withstand impact from compound bows with up to a 70-lb. draw weight. 8" ground stakes (included) hold targets in place. 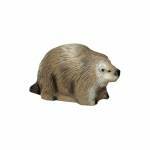 Includes a muskrat (6"H x 12.5"W, Wt: 1.92 lbs. 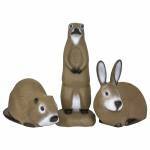 ), prairie dog (13.5"H x 6.25"W, Wt: 1.75 lbs.) 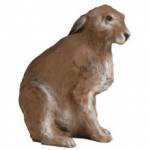 and rabbit (9"H x 11.5"W, Wt: 1.92 lbs.). For use with field-tips or expandable broadheads. Realistic look a..